I am extremely proud to be the Headteacher of Newtons Primary and it is a delight to welcome you to our warm and friendly school. We are a two form entry school. Newtons is a Good School! 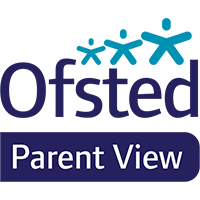 We are delighted with our Ofsted report from the inspection that took place on 23rd and 24th January 2019. Please click below to see our report. Newtons Primary School is rated a Good School by Ofsted! As you may already be aware, we have children in our school with severe nut allergies. Could we please ask that you do not put anything containing nuts in your child's packed lunch. Many thanks for your co-operation. We have a special desserts menu for Easter, please see here. The allergy chart can be found here. Click here to view a Parent's guide to inspections.